1 Corvo / Poço de Agua, Acorerne. The 1st record for Azores and Western Palearctic. 1 Ponta Delgada, Flores, Acorerne. 1 Tennessee Valley, Corvo, Acorerne. new for Azores, 7th for WP. new for Azores, 5th for WP. next to the hotel of the birdingbreaks tour group. 1 1cy male, Uppper Lapa, Corvo, Acorerne. 7th for Azores, 9th for WP. Still present this morning; 5th WP record. 1 Bank of Fortune, Acorerne. 5th year in a row, Bank of Fortune does it again!. 1 Fish harbour, Praia da Vitoria, Terceira, Acorerne. Presumed Cabot's Tern, more info will follow. 1 São Miguel , Acorerne. Belated news of a bird photographed at São Miguel on the 30th of June. 4th for Azores. 1 Lighthouse Valley, Corvo, Acorerne. 1 Ribeira Da Ponte, Corvo, Acorerne. 1 near Caldeirao, Corvo, Acorerne. 1st for WP; still present. 1 Poco da Agua, Corvo, Acorerne. 2nd for WP, still present. 2 Lighthouse Valley and Poco da Agua, Corvo, Acorerne. 1st & 2nd for WP, still present. 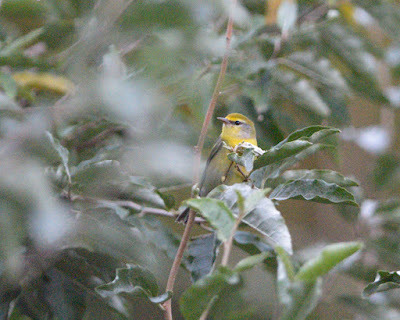 Brewer's-type Warbler, Blue-winged x Golden-winged Hybrid; still present. 2 Ribeira de Cancelas and Lighthouse Valley, Corvo, Acorerne. One new bird; 8th record for WP. Brewer's-type Warbler, Blue-winged x Golden-winged Hybrid. 1 Ribeira de Cancelas, Corvo, Acorerne. 1 Middle Fields, Corvo, Acorerne. 2 Lower Fields, Corvo, Acorerne. 3rd for WP; still present.